I was confused about if there is a Seattle show too! If there’s not, I’ll probably lock myself in a box and cry out all the moisture in my body. 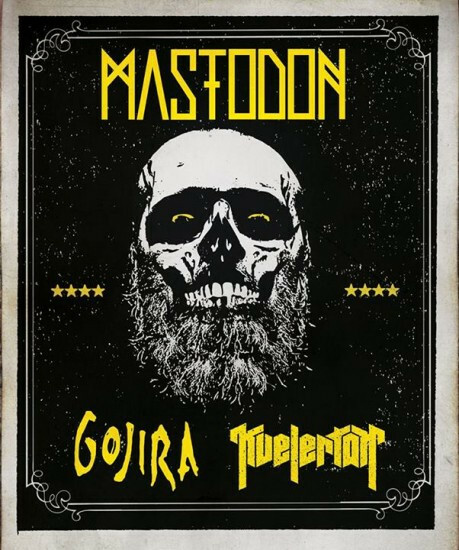 Yeah, Mastodon and Gojira both have tour dates on their website that don’t show a Seattle show at all, and Kvelertak’s website doesn’t show any of the tour dates yet. This worries me. Ian…If your from Seattle like I am, then (assuming this tour DOES start in Seattle) my guess is they will be playing at Showbox Sodo. Nothing is booked at Sodo or the Market for that date. That’s where they played last time. And Showbox Sodo is about the same size as the Roseland Theater. I would love to see them at Showbox…Market preferably!! Nice to see Gojira isn’t holding the Denver Broncos Super Bowl loss against us Denver denizens.